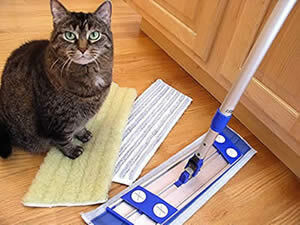 Environmentally friendly chemical-free cleaning for home, office and industry. Save time, money and the environment with Swedish Microfiber technology. Swedish Microfiber cloths and Floor Care Systems enable you to clean nearly 100% of your home, office, school or institutional facility without chemicals using the finest, longest-lasting microfiber products available. Improve indoor air quality – Reduce surface residues – Clean more quickly – Reduce chemical runoff and landfill each time you clean with our premium microfibers. We are committed to providing our wholesalers with the highest quality microfiber products at a fair price. We partner with our clients in doing business with honesty and respect in our work with wholesale and retail customers, and in upholding the Golden Rule. Contact us for more information on our professional quality microfiber products, the choice of many homes, offices, and industries throughout Europe, now available in the U.S.